Barnes & Conti CEO, Kim Barnes, and Chief Innovation Strategist, Nelson Soken, will be speaking at the ATD 2019 Conference and Expo this year in Washington, D.C.
Kim Barnes will be again be presenting on constructive debate: “Building Better Ideas: The Value of Constructive Debate,” on May 19, 2019 at 10:45 am. Nelson Soken will also be featured as a speaker with a topic focusing on innovation entitled, “Design Thinking: An Approach to Transform Your Organization and Improve Outcomes,” on May 19, 2018 at 3:00 pm. Kim Barnes' new book, Building Better Ideas: How Constructive Debate Inspires Courage, Collaboration, and Breakthrough Solutions, will be published in the fall of 2019 by Berrett-Koehler Publishers. The book is based on our popular program, Constructive Debate: A Collaborative Approach to Building Better Ideas. We developed that program at a client’s request a number of years ago, but it has once again become timely. The focus of both the book and the program is to help organizations engage a broad range of people in ideation and to create a culture where unusual and innovative ideas get a hearing and there is a clear process and encouragement for critiquing and improving ideas. Another important outcome of learning these skills is to institutionalize a civilized and effective way for inviting, welcoming, and using disagreement, thus avoiding “groupthink,” reducing the reluctance to speak out, and supporting innovation and change. Watch this page for the publication date. Kim says that she is excited to be working with a new publisher, especially one with Berrett-Koehler’s excellent reputation and track record. 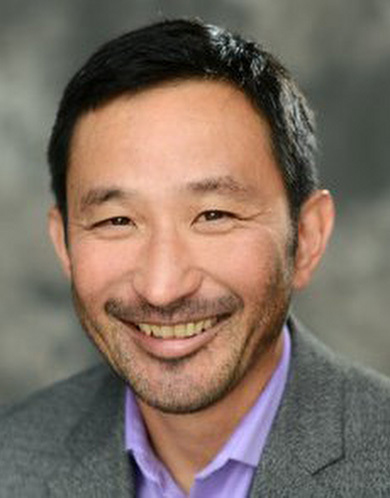 Nelson Soken, Barnes & Conti Chief Innovation Strategist, is this year’s recipient of the Design Management Institute’s (DMI) dmi:President’s Award. The dmi:President’s Award is awarded to a DMI member whose contributions to the organization have moved their mission forward in a significant way. Barnes & Conti is proud to have Nelson as a key member of our team, assisting clients in moving their innovation initiatives forward. Our hearty congratulations to Nelson for his outstanding work! 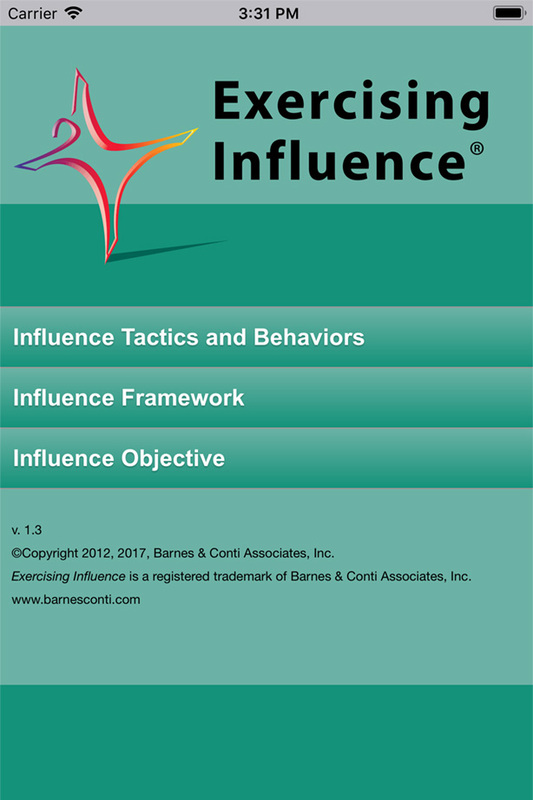 Exercising Influence™ for Smartphones: Available for iOS and Android! please go to Google Play. please go to the iTunes App Store. Note to our clients and customers: We are now including this app free of charge for all participants in our Exercising Influence program. "Barnes writes with the same elegant clarity and formality that enrich her nonfiction...character development is deft and sure, with particularly appealing diversity among the characters...The novelty of a business consultant in a detective role also adds to the enjoyment...An unusual concept and strong characters shine through..."
See the article below to purchase the book. Did you know that Barnes & Conti has a quarterly e-Newsletter? The entire archive—from November of 2001—is available on our website. Our newsletter is not just news, but features articles about influence, negotiation, innovation, risk-taking, leadership, and team building. As a special bonus, we include at least one recipe, which, more often than not, is from one of the countries in which we have clients and/or partners. To visit the archive—or subscribe to the newsletter—click here.